This £2000 grant for proposed research (preferably within Georgia) is open to Georgian scholars. The research should focus on a topic of Georgia’s culture and heritage which needs to be brought to the attention of a wider audience (ie. outside Georgia). The primary criteria for the grant are the quality and viability of the proposed research. In addition, preference will be given to those in mid-career (ie. aged 25-45), to applications with co-funding, to applications for less than the £2000 maximum and/or where costs are reduced by borrowing equipment rather than buying it, and to applications that promise to generate publishable outputs in English. Those who have previously received a grant from FaRiG under this scheme may not apply. 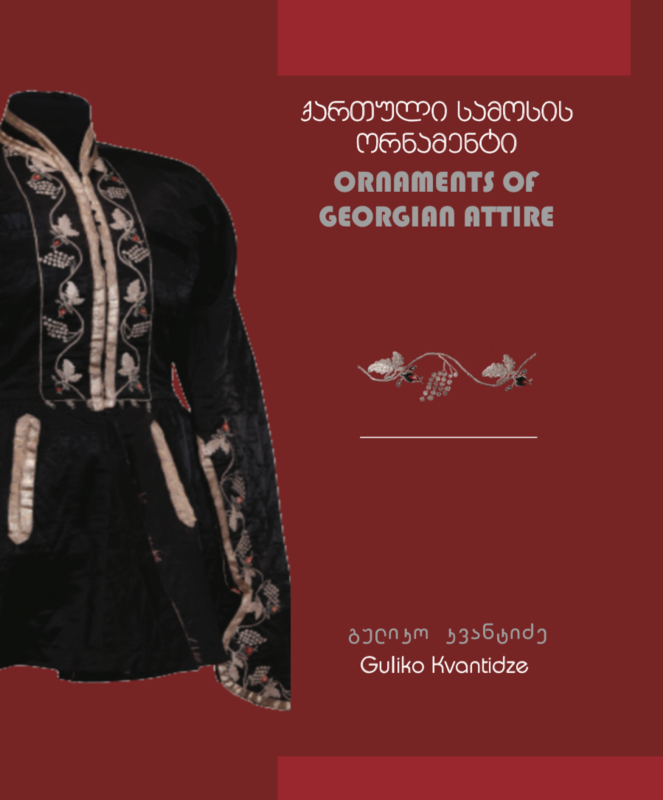 Guliko Kvantidze on "Georgian National Clothes in the 18th-20th centuries". January 2019: the PDF has been updated from the draft to the final version. Nana Mzhavanadze on "Svan Music in the context of Ritual". Payment of conference registration fees for Natia Khuluzauri and Nana Meparishvili in Rome and Rio de Janeiro. Grant to Natia Mirotadze for attendance at the International Septuagint Summer School in Göttingen. Grant to assist Nokalakevi excavations. Grant to part-fund the Courtauld Institute studies of Mariam Kalkhitashvili. Grant to enable Tbilisi State University to subscribe to JSTOR. Grant to assist with Mariam Didebulidze's attendance at the Byzantine Studies Congress in Sofia. Leri Tavadze (Georgian Secular Depiction between Sassanian and Byzantine Prototypes 4th-13th centuries). Nikoloz Murgulia (fortification system of the Lazikan (Egrisi) kingdom 4th-6th centuries). Rothschild FaRiG Research Grant to Dr Nino Chanishvili for a comparative study of nineteenth-century urban architecture in Baku, Sarajevo, Salonika and Tbilisi. British Georgian Society contributed £500 to FaRiG: these funds were used to pay for a digital microscope adaptor for the state museum conservation laboratory at Nokalakevi. Support for the Archaeological Expedition to Vani. Research Grant to Dr Nino Kavtaria. 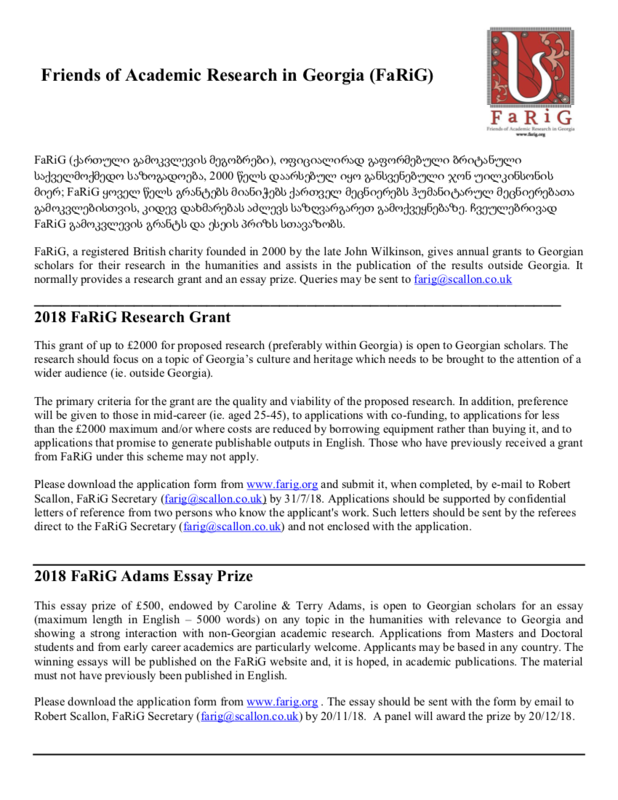 FaRiG was delighted to offer its sponsorship and backing to seven Georgian scholars who came to London in August for the International Congress of Byzantine Studies. This is a prestigious five-yearly gathering in which around 1,000 experts on all aspects of Byzantine civilisation come together to present papers and exchange ideas.